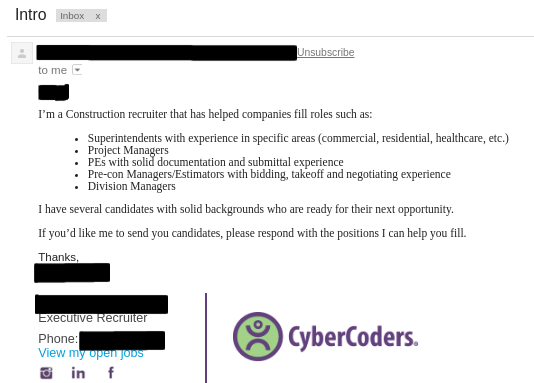 PissedOffAdmins » Do recruiters dream of electric replies ? Do recruiters dream of electric replies ? Hey all, sorry for the hiatus. work and life has been taking time but i am back and will have more updates soon. Today’s weirdness comes in the form of a recruiter that to my knowledge is trying to position himself as the master of multiple domins…. or they were just blasting a list of email addresses. both of these are from the same exact person, or at least the same automailer. 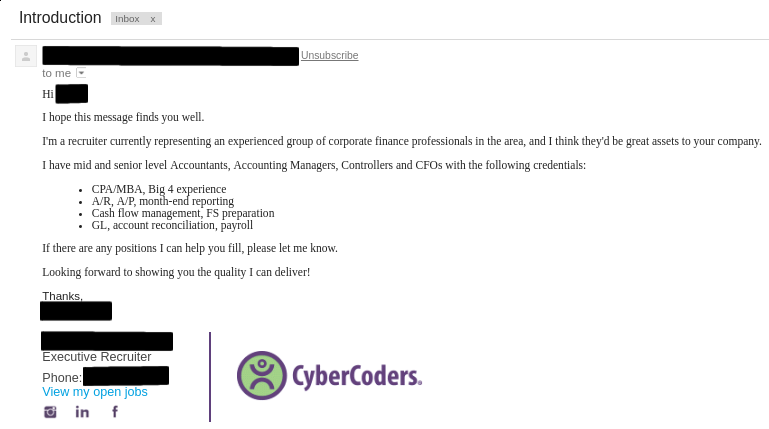 I feel that sometimes some recruiters are just trying to carpet bomb the landscape when their services are not needed.